Reverend Paul J. Rosing was named Pastor of Holy Family Parish on December 20, 2010 after serving as the Parochial Administrator for eight years. He had previously served as Pastor of Annunciation (now Visitation of Mary) Parish in Akron, Ohio, for eighteen years. Born August 15, 1947, in Cleveland, Ohio, he is the oldest of six children born to Raymond H. and Suzanne Congalton Rosing. He attended St. Mark Parish School in the West Park/Lakewood area of Cleveland where his teachers were the Sisters, Servants of the Immaculate Heart of Mary (Monroe, Michigan). The parish and school were founded the same year as Holy Family - and Father has noticed many similarities between the two parishes, schools and neighborhoods as he compares stories of his own early years at St. Mark with Holy Family parishioners who were here during the “early years” of the 50's and 60's. Graduating from Eighth Grade in 1961, Paul entered Borromeo Seminary High School in Wickliffe. As a "lifer", he continued his seminary training through the Cleveland Diocesan system at Borromeo College and St. Mary Seminary on Ansel Road. He was ordained a Priest for service in the Diocese of Cleveland by Bishop Clarence G. Issenmann. 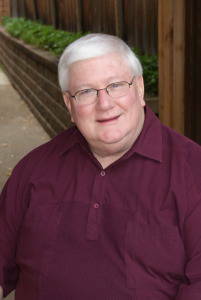 His early assignments were as Associate Pastor of St. Paul, Akron (1973-1978), Administrator of Sts. Cyril and Methodius, Barberton (1978-1979), Associate Pastor of St. Joseph, Cuyahoga Falls (1979-1980), and Associate Pastor of St. Mary, Wooster(1980-1984). In June1984, he was assigned as Pastor of Annunciation Parish in Akron. This assignment continued until November 2002. Along the way, Father has served on numerous Diocesan committees - including the Pastors' Advisory Committees for Schools and the Diocesan Foundation. Father is a strong supporter of Catholic schools – both at Holy Family and throughout the Diocese. He has worked with other Diocesan leaders to act creatively and pro-actively to keep our schools vital and strong. He has served almost continuously since 1973 as a member of the Priests' Senate - later Priests' Council - now the Presbyteral Council. He hopes that he brings the perspective of his Summit County parishioners to these Diocesan-wide discussions - and brings what he has learned from the perspective of the wider Church back for the benefit of the Parish on the local level. He has enjoyed serving as a field education supervisor and mentor for several seminarians and young priests over the years. Father enjoys most music, but especially the Cleveland Orchestra and local theater - and has enjoyed travel. Scotland, the Holy Land, Italy and China are favorites - along with several places in the U.S. His "day off" is usually spent reading (American history, John Grisham and W.E.B. Griffin novels, church issues, etc. ), “vegging”, doing the dishes, and gardening at a lakeside cabin - about an hour away in northern Ashland County - which he shares with a longtime priest-friend (who does the cooking) and a couple of that priest’s siblings.